This week is the 77th anniversary of the Japanese attack on Pearl Harbor. That wasn't the first military action of the Japanese during WWII. It's just the event that finally got the U.S. to join the war. If you're looking from some resources to use in lessons about Pearl Harbor, take a look at the following ten items. DocsTeach offers a couple of primary source based activities about Pearl Harbor. In Analyzing Evidence of the Pearl Harbor Attack students analyze documents used in the Congressional investigation into the attack on Pearl Harbor. In Two Versions of FDR's Infamy Speech students read and compare the initial draft of Roosevelt's speech with the final draft that was broadcast. The 1941 Project is an interactive map of Pearl Harbor. The map features the stories of survivors of the attack on Pearl Harbor. Click on a person on the map to read his or her story and see accompanying photographs. You can customize the map to display the positions of ships on December 7, 1941. There is also an option to see the map as the Japanese had drawn it prior to the attack. The 1941 Project map does take a long time to load all of features. Remind your students to be patient while the map loads all available features. Five Things You Don't Know About Pearl Harbor, produced by Military.com, offers five interesting facts about and related to the bombing of Pearl Harbor. 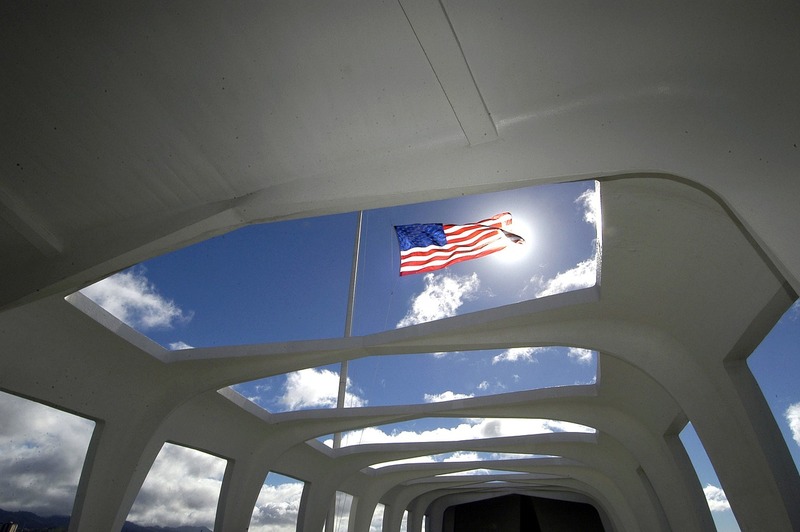 The National Parks Service offers lesson plans about Pearl Harbor and the USS Arizona. History Animated has a number of animations of military movements in the Pacific during WWII. My Story: Pearl Harbor is an hour-by-hour account of the attack on Pearl Harbor. The account is told from the perspective of Dale and Johnie Gano who were stationed at Pearl Harbor. Remembering Pearl Harbor is a CBS Sunday Morning segment that features interviews with Pearl Harbor attack survivors. The Smithsonian Channel offers audio of the only live news report from Pearl Harbor on December 7, 1941. Images have been added to the audio to create the following video. One of my favorite online history teachers, Keith Hughes, offers this seven minute lesson about Pearl Harbor. Finally, it seems fitting this week to include President George H.W. Bush's speech at the Pearl Harbor memorial that he gave in 1991 on the 50th anniversary of the attack.